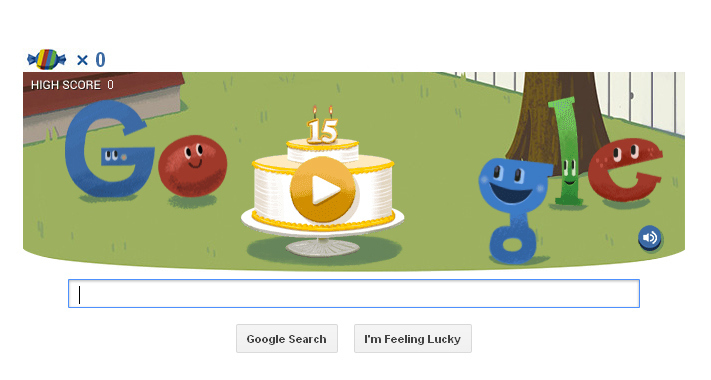 15 years ago, two Stanford Grads, Larry Page and Sergey Brin, founded a little company called Google. Google Incorporated was established on September 7th, Google.com domain was registered on September 15th but the official birthday was formalized to September 27th. Don’t ask me why. With the goal of showing the best results through simplicity and speed, Google entered a fragmented market search engine lanscape. Now it owns more than 70% of the search market. Quick name as many search engines you know! Are you aware that there are a lot of search engines out there? When Google first entered the market, it wasn’t just a matter of lucky timing, or being the sole engine that dominated the market. There were many Search Engine players at the time. So who were the search engine players in live and about in 1998? Megellan (Born 1995 – RIP 2001) – Bought by Excite. Infoseek (Born 1995 – RIP 2001) – Disney took over, became a portal. Still operates powered by Google. Snap (Born 1997 – RIP 2001) – First launched by CNET in 1997. Became owned by NBC. Died as a portal. Direct Hit (Born 1998 – RIP 2002) – Hot search engine. Purchased by Ask Jeeves, neglected and died. Lycos (Born 1994, Changed 1999) – Outsources to Alltheweb. Webcrawler (Born 1994, Changed 2001) – Meta Search Engine. Gathers results from other engines. Purchased by AOL, then Excite. Yahoo (Born 1994, Changed 2002) – Still one of the most popular search engines on the web. Excite (Born 1995, Changed 2001) – Bought Magellan and Webcrawler. HotBot (Born 1996, Changed 2002) – Owned by Inktomi, backed my Wired. Ask Jeeves (Born 1998, Changed 2002) – now Ask.com. Altavista (Born 1995) – Google before Google. My personal engine of choice. LookSmart (Born 1996) – Only search company that relies on humans to gather listings. Overture (Born 1998) – Formerly known as Goto. Powers paid listings for MSN & Yahoo. For a little fun, you can go to Google.com to see their interactive pinata game. Tried out the Pinata thing. High Score of 174. Beat that. What was your high score? For a little more geekier fun, type in “Google in 1998” for a little surprise easter egg. 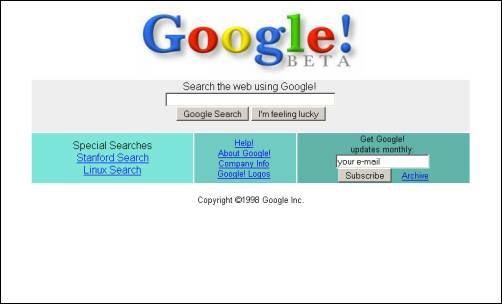 Yes, Google did not have a clean white look until 1999.